Remodel and update your kitchen without breaking the bank. If you've postponed remodeling your worn and dated kitchen due to sticker shock and budget concerns, you'll be happy to know that a great-looking kitchen doesn't have to break the bank. You can undertake many updates for modest cost but make a serious visual impact. Keep in mind that the most expensive part of most kitchen remodeling projects comes from buying large appliances. 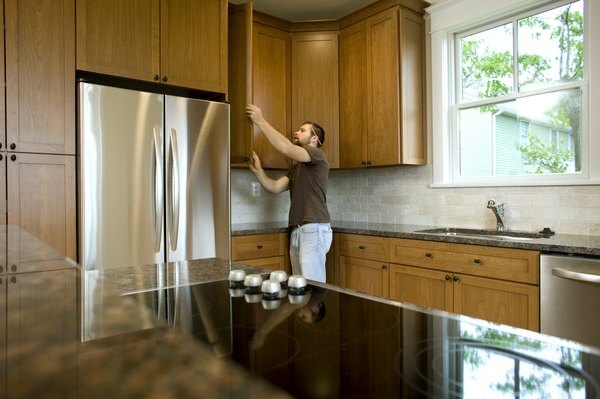 If your refrigerator, dishwasher and stovetop/oven are in good repair, you can give yourself the gift of a fresh, new kitchen and still have plenty of cash left when the job is done. Take off the cabinet doors and remove the old hardware. Strip away old stain or paint, and sand the surfaces to smooth imperfections and minor signs of wear. Add new stain or paint, allow to dry and add new hardware before replacing the cabinet doors and drawers. Pat yourself on the back. Your kitchen will already look dramatically different. Nothing updates the overall appearance of a kitchen like new cabinets...except these refurbished ones. You can save a great deal of money and get an upscale look by rejuvenating your existing cabinets and drawers. Use a contrasting color of paint to freshen your walls. Add a modestly priced, but stylish, glass-tile backsplash. Save even more money by selecting tiles that can be pulled apart rather than cut, and that are self-adhering. Conventional tiles require a wet saw, trowel and mortar. You can rent wet saws economically at your home-improvement store. Choose a finish and color that add focal interest to your space. Spread the mortar with a trowel (for conventional tiles) and press the tiles into place. Wipe away excess mortar and allow to dry. Attach adhesive tiles by sizing them to fit your space, removing the protective backing sheet and pressing them to the wall surface. Tie the new look of your kitchen together with a new faucet and lighting fixture. 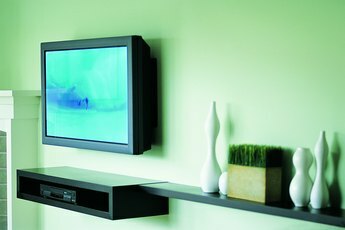 These come in a variety of styles and price points, so it's easy to find one that suits your tastes and budget. Take the screws from the old units and carefully remove the original fixtures. 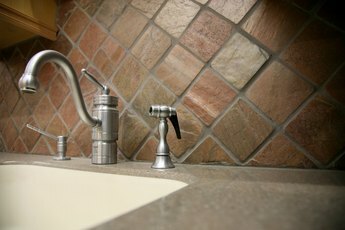 New faucets and light units usually come with their own attachment hardware, but if not, you may be able to repurpose the old bolts and screws. The best approach, of course, is to purchase units with their own mounting equipment. Freshen up your counters and floors last, if any money remains in the budget. This is relatively simple with the affordable, laminate floor tiles and countertops now available. Unlike the linoleum tiles of years past, laminates come in a wide array of finishes and textures, and can be installed by the weekend-warrior homeowner in a weekend. Now that your updated kitchen is complete, take some of your savings to buy a bottle of champagne to share with friends as you show off your handiwork. Work in a well-ventilated area when using paint, wood stain or varnish. The coatings can emit fumes that are potentially harmful when inhaled for extended periods. Paint is available that releases fewer vapors and little odor. Ask for these brands when choosing enamel colors. If using a wet saw for the first time, ask for a demonstration at the home-improvement store and get tips on safety. Use protective goggles to protect your eyes from stray debris. Can You Reuse Wall Anchors?